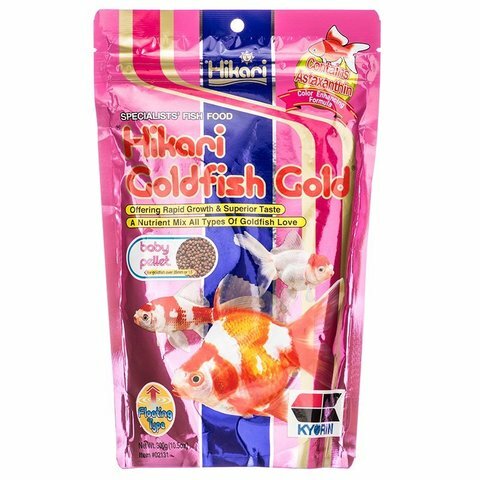 Contains Phaffia Dried Yeast, naturally rich in carotenoids which can help your pet develop their natural beauty and coloration. The addition of Astaxanthin further improves the color enhancing capacity. The uniquely balanced nutrient profile and the inclusion of Polyphenol, a powerful antioxidant derived from grapes, helps your pet be their best. The red colored pellet is created from raw ingredients and will not negatively impact your pet&apos;s health, bowl or aquarium water. This growth formula supports rapid weight gain while avoiding the buildup of internal fat deposits which can lead to conformation and health issues over time. Feed 2 to 4 times daily the amount your pet will consume within a few minutes. Always remove any uneaten food after the feeding period. When the water temperature is consistently below 50F (10C) or above 86F (30C), special care should be taken to avoid over-feeding unless your fish are very active and your water quality is good. 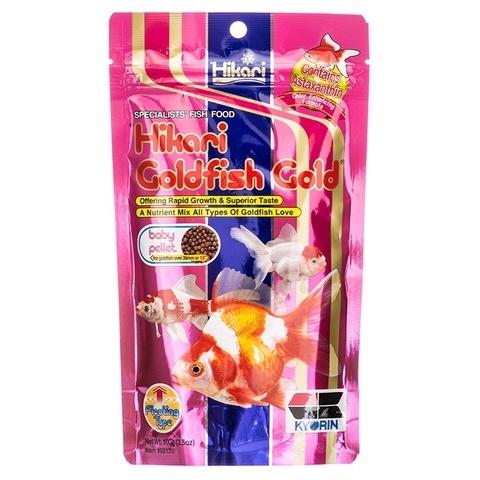 All types of goldfish and koi fry to help them develop their true color and beauty. Economical 10kg package is also available. Please ask your koi specialized dealer / retailer.